Does your little one like to play outside and explore? Bring your toddler to camp for our seasonal Toddlers and Trees events! 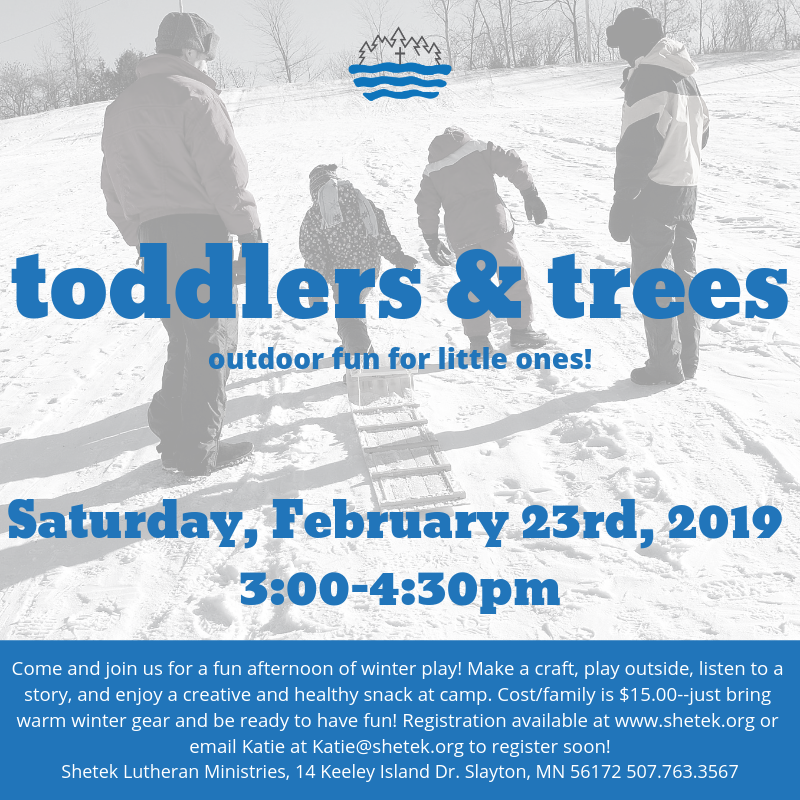 Your child will enjoy outdoor discovery and adventure, a make and take craft, a healthy snack, and story time during the 90 minute time period. Activities are designed for ages 1-3, but all family members are welcome! Cost is $15/family–please bring clothes that can get dirty along with any necessary outdoor gear (hats, gloves, coats, boots, etc. as appropriate for the weather). Days in 2019 are Saturday – Febuary 23, Sunday – April 28, Saturday – July 20 and Sunday – October 13. Times are 3-4:30pm. Email Katie to find out more – katie@shetek.org Register online below.